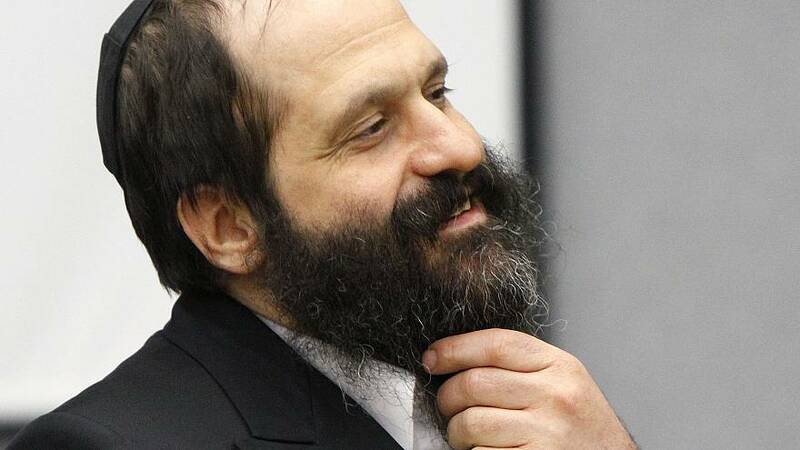 After President Donald Trump commuted the 27-year sentence of Sholom Rubashkin, a former kosher meatpacking plant CEO convicted of financial fraud, prison reform advocates on Thursday immediately perked up. Trump, they said, did something not even President Barack Obama — a strong proponent for reform — had done: commuted a sentence during his first year in office. It wasn't until 2011 when Obama — three years into his first term — commuted the sentence of a federal prisoner, although he had pardoned nine people a year before. "I'm extremely excited about this and am very optimistic that Trump is going to surprise people," said Amy Povah, the founder of CAN-DO, a nonprofit that advocates clemency for federal prisoners convicted of drug crimes. "I communicate with a lot of prisoners, and I guarantee you they woke up to renewed hope." Still, the number of commutations that could roll out under the Trump administration remains unknown. With so much at stake, some fighting for criminal justice reform are asking whether the Rubashkin case is a precursor of things to come — or just a rare one-off. Neither the White House nor the Justice Department immediately responded to requests for comment Thursday. Rubashkin had served more than eight years behind bars before he was released Wednesday from federal prison in New York. His attorney praised the decision, citing how the 57-year-old was a "first-time nonviolent offender" when he was convicted in 2009. The White House's decision, however, is not a full pardon and does not vacate the conviction. Rubashkin had the support of both Democrats and Republicans in Washington for his commutation. Notably, a push for the Obama administration to take action fell on deaf ears. That was even as Obama moved swiftly later in his final term to begin commuting sentences. Obama granted clemency to 1,715 federal prisoners — more than any other U.S. president in history. The vast majority had been sentenced under mandatory minimum laws that were enacted in the 1980s and '90s to address the scourge of drugs. Obama's ramping up of commutations, which lessens an inmate's prison time, was extraordinary given the historic rarity of it all, according to advocates. "Everybody was hoping they'd see their name on the list," said Povah, who herself was granted clemency under President Bill Clinton in 2000 after she was convicted in a conspiracy case related to drugs. "It was like going from breadcrumbs to a huge buffet." But Kevin Ring, the president of Families Against Mandatory Minimums, said he's concerned that the bar might be set too high for inmates seeking commutations — given that Rubashkin's case was high-profile enough to attract the interest of lawmakers, including House Minority Leader Nancy Pelosi, D-Calif., and Sen. Orrin Hatch, R-Utah. He also questioned if certain types of prisoners — those not associated with white-collar crimes like Rubashkin — would benefit from clemency. "Most are just families who don't wield any political influence," Ring said. "If this is what it takes to get on the radar, I hope not." Ring added that disproportionate sentencing, which can put people in prison longer, has gone unchecked this year after Attorney General Jeff Sessions directed federal prosecutors in a memo in May to stop seeking leniency for low-level drug offenders. For years, advocates have complained that harsher prison sentences were affecting minorities and contributing to the overcrowding of prisons. "There's a very real risk things won't improve," Ring said. There are more than 184,200 inmates in federal prisons, with the number falling since fiscal year 2013 but still drastically higher than the 24,000 in 1980, according to federal statistics. Most of the offenses are drug related. If the DOJ and White House decide to take up clemencies more frequently, they'll have a lot of cases to review: In October and November, the Trump administration had roughly 2,270 pardon petitions and 8,930 commutation petitions pending, according to Justice Department statistics. But in recent days, House Speaker Paul Ryan, R-Wis., has suggested Congress could tackle criminal justice reform in the next year. That's important to Holly Harris, the executive director of the U.S. Justice Action Network, a lobbying group with advocates from the left and right. She said a bipartisan bill in the House, the Prison Reform and Redemption Act, which would allow certain prisoners to serve the end of their sentences in halfway homes or home confinement, could be a catalyst in overhauling the system. "Voters are very well educated and realize that one-size sentencing doesn't work," Harris said. "The president of the United States has sent a really positive signal" with the release of Rubashkin. While Trump ran as the "law and order" candidate, his lack of specifics on the criminal justice issue, apart from how it relates to immigration and national security, could end up going beyond what Obama started and result in sweeping change, Povah added. "We know that he's an outsider, and I don't think he always necessarily cares what's conventional," she said. "So I kind of hope that that can benefit people."